Fourth Annual Johnston Alternative Gift Market a smashing success!! 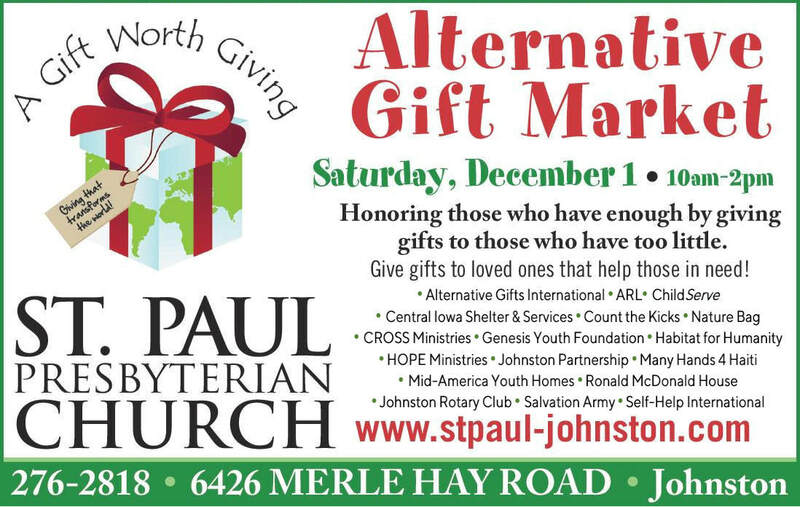 St Paul was pleased to sponsor the Fourth Annual Johnston Alternative Gift Market on Saturday, December 2, 2017 from 10:00 to 2:00. Over 200 "shoppers" experienced the joy of honoring those who have enough by giving to those who have too little. Together we raised $14,520.75 for worthy causes!! The breakdown is: $10,251 for local mission organizations, $2,447 for Alternative Gifts International, $854.75 for St. Paul Youth Mission Trip (Kitchen donations), $275 for CROSS Ministries pretzel sales, $693 for The Work of our Hands sales! Our best year ever! You can find many pictures from the day here. Check Out our Facebook Page for the latest updates!!! CAN'T MAKE IT DECEMBER 1? Can't make it on the day of the event, but still want to get some alternative gifts? 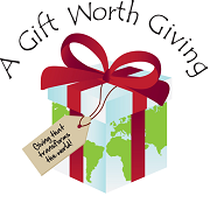 Visit our dedicated Johnston Alternative Gift Market web page where, starting on the day of the market, you will be able to make online purchases and download your gift inserts! Coverage of the 2017 AGM! ​Sue Van Essen & Arla Darling! A good explanation from Sue Van Essen on ABC5! Following the event in 2016 we got significant airtime on WHO, Channel 13! One of over a dozen tables from local organizations! "Shoppers" can enjoy a delicious bowl of homemade soup. "Shoppers" check out in one easy location...and we take charge cards!